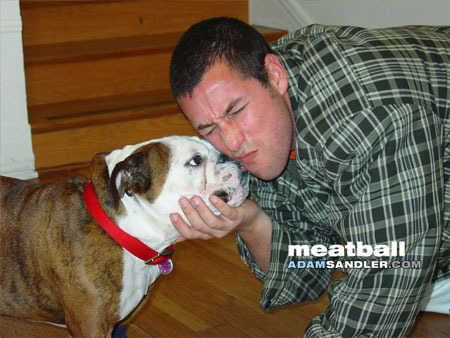 Adam and Meatball. With his dog Meatball. Wallpaper and background images in the Adam Sandler club tagged: meatball dog pet. IS THIS HIS DOGG AWWW HOW CUTE ANYWAY!!!!!!!!!!! !